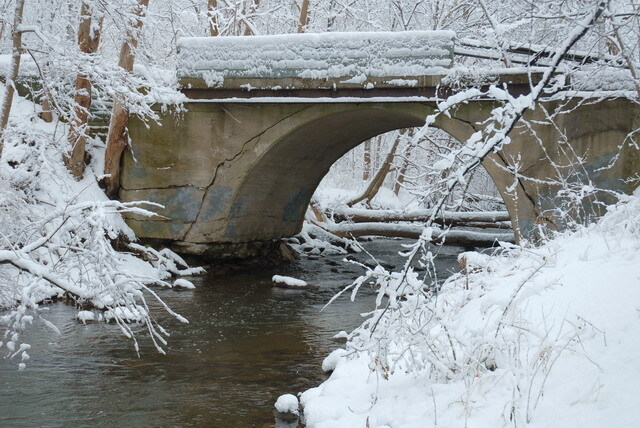 The Upper Rouge River tumbles beneath the former Farmington Road Bridge. This former ancient fording point of the Shiawassee and Orchard Lake Indian trails became Farmington Road. 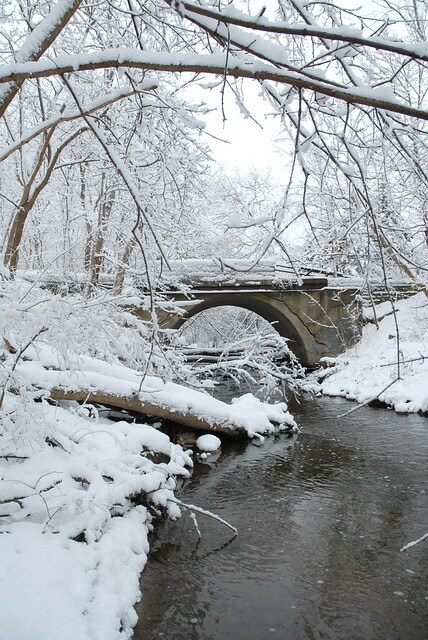 A concrete arch bridge was built in 1896 and abandoned in 1962.